So, Today is the day! Right? 29th July, 2015? Perhaps you have already waited for many weeks for this day when you get your hands on Windows 10, the most latest version of Windows from Microsoft. But there’s a catch. Though Windows 10 Released earlier today on 29th July, 2015, you cannot download Windows 10 in your supported computer (pc/laptop) instantly. Microsoft is slowly slowly rolling out the update in 190 countries, and it may take some time to reach your device. So, even if you are eligible for the update, you need to wait for some days to some weeks to get it. Well, the good news is, you won’t. You can instantly get your update right now. Yes, it’s not a dream, you can make windows force check your device for updates. If your device is registered for Windows 10 Free Upgrade, windows will instantly detect the update and start downloading the latest Windows 10 for you. NOTE: You must be registered for getting Free Windows 10 Upgrade. Not all devices will get the upgrade, but if you are running on Windows 7 or Windows 8.1, most probably you are eligible for the Free Upgrade to Windows 10. Check here to know if your device is eligible for the Windows 10 Free Upgrade. Q: IS THE UPGRADE FULL FREE OR JUST A TRIAL? DO I NEED TO PAY AFTERWARDS? HERE I CLEAR ALL THE DOUBTS AND CONFUSIONS: THIS UPGRADE IS LIFE TIME FREE AND NOT A TRIAL VERSION OR SOMETHING LIKE THAT. IF YOU HAVE ALREADY RESERVED YOUR FREE UPGRADE YOU CAN ENJOY IT FOREVER. YOU WILL ALSO CONTINUE GETTING UPGRADES YEAR AFTER YEAR FOR FREE, AS WINDOWS 10 IS THE FINAL VERSION OF THE WINDOWS. 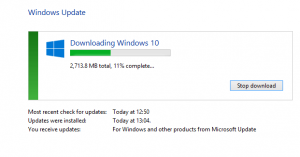 How to Download Windows 10 Manually? I won’t waste time and straightforward come to the point. How to get the Windows 10 Update right now? There are 2 ways for this, and none of them are risky at all, both are completely safe and verified, and of course both the ways are official methods to upgrade Windows 10. Before starting, Check for updates once. 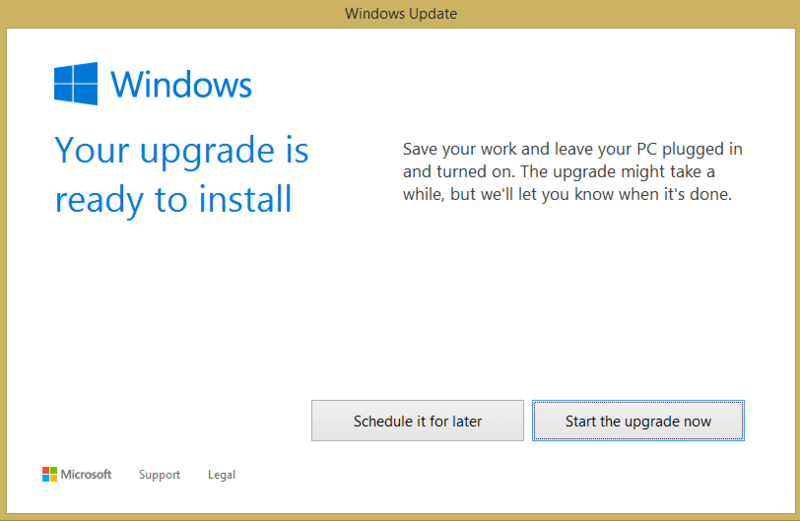 Go to Control Panel > System and Security > Windows Update and check once for any available updates. 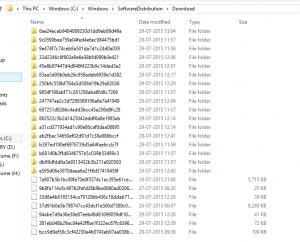 You may have gotten the Windows 10 to download right there, though, chances are very rare. Still, be sure of that. Method 1 is universal for all PC users, and will commonly download the Windows 10, and Method 2 is specially made for your PC. I tried the Method 2 for my PC, and as I type this, my own download is ongoing 11% complete. 🙂 I will add some exclusive screenshot here after I finish upgrading. For those who don’t know, Windows has released its latest software Windows 10 on its website and is available for download. They prepared a tool to download the upgrade and install it. This tool will also help to back up the installation file and save the installation media into USB or DVD Disks, though it is optional. We will download the Update Tool and Run it on our PC. It will check for upgrades and download it. A Stable Internet Connection. Prefer unlimited connections, as the size may be up to 3GB. A blank USB / DVD if you need to create backup media files. This is completely optional. Here’s how to backup everything on windows. Visit Windows 10 Software Download Page. Choose your PC 32 Bit or 64 Bit and Click Download Tool Now. It will download a small exe file less than 10MB. 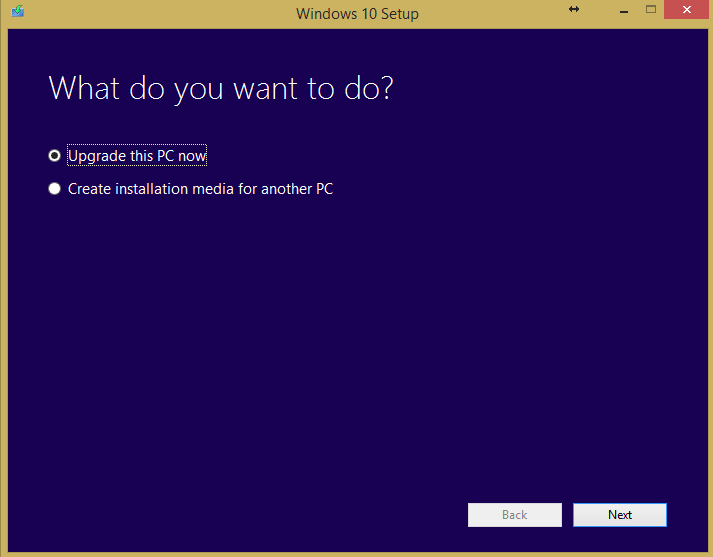 It will ask you Upgrade this PC or Create Update Media for another PC. Choose the first option to upgrade your PC. Click Next and Follow the on-screen instructions to upgrade your PC. It will start downloading your software for Windows 10. Note: It may or may not need your Windows Registration Key. If this works then you are good to go. And, this should work. Still, if it does not work, try out the method 2 to download and upgrade your pc to Windows 10. This method will follow official windows upgrade procedure, with a tweak. The advantage over the earlier method is that the update file will be best suited for your device only, and will be downloaded through your default windows updater, and not via the universal upgrade tool made by Windows. Microsoft recommends this by default and your scheduled upgrade would come via this method only, but we are just applying a simple tweak and speeding up the process making it available instantly. Let’s start. Similar to the requirements in Method 1. Open Control Panel > System and Security > Windows Update. Keep this window open. 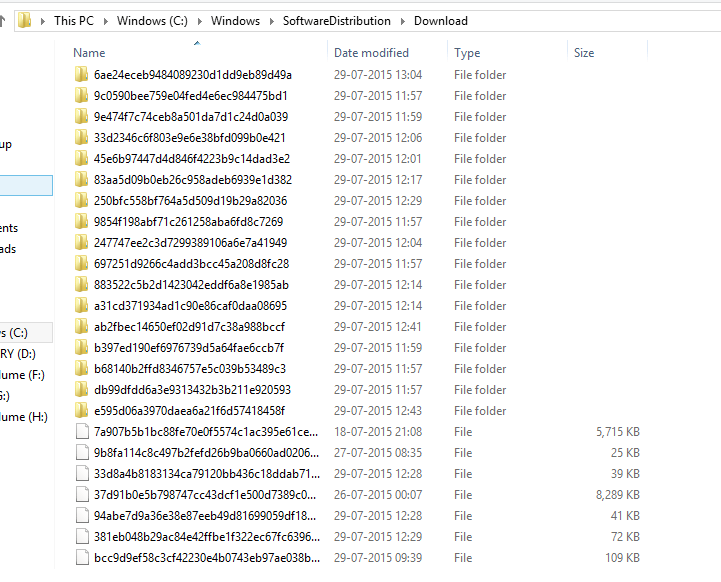 Open File Explorer > Windows (C:) > Windows > SoftwareDistribution > Download. You will see some files and folders. Backup all these files into some other drive and delete everything there. To do this step, create a new folder on another drive and copy everything from here and paste there. Next, delete all files and folders from here. Your backup will prevent you from accidental loss of files and help you restore it like previous. Note: You may need administrator permissions for this. Grant it. 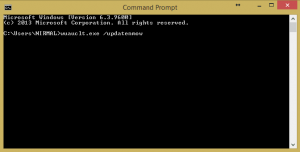 Now open Command Prompt in Administrator Mode. To do this, Right click on Command Prompt and Click Run as Administrator. You need Administrator permissions for this. Note: There is a space after wuauclt.exe Follow the picture below. Press Enter. BOOM! You are almost done! Now check the Windows Update Window you opened in the first step. You will find it either already started downloading Windows 10 or is ready to download it. Start Downloading and wait patiently to finish! After it’s downloaded it will automatically notify you to upgrade. So, wasn’t it very easy to upgrade your Windows 7 or 8.1 PC to latest Windows 10? Why wait? Start upgrading now. Be sure to follow every step correctly. If you have any problems, comment below, I will assist. Thanks. Q: Upgrade Failed. What to do? Ans: Restart your PC. You may find it is updating some files. Then after it restarts, straightforward go to Control Panel > System and Security > Windows Update. You will find either it is rechecking for upgrade available or Windows 10 is ready to download. Q: It fails downloading with the Microsoft tool in Method 1. What to do? Ans: Go to control panel language settings and change language to English US. Then retry running the exe file. It will work. That’s all. Hope all your confusions are cleared, and you are ready to explore Windows 10 in a few hours. All the best for your download. Get Set Go! Thanks for reading our post on updating Windows 7 or Windows 8.1 to Windows 10 manually. If this post has helped you, then do share the post with your friends and make them taste the software today itself. Keep visiting HiTricks for more tricks. 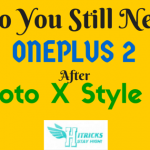 Do you still need an OnePlus Two Invite after Moto X Style? [GUIDE] How to get Amazon Pay ICICI Credit Card? Why is right click not allowed? Sorry. Our blog language was copied by a few non professional bloggers. So we disabled right click. You need to type the letters as seen into your command prompt.